John Settelen joins us as Chief Financial Officer of Pine Tree Society. 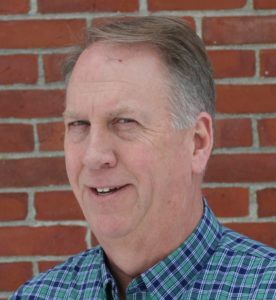 John had a 29-year career in the energy and utility industries including 20 years at American Water. At American Water he served in positions such as Director-Corporate Accounting, Vice President and Controller for New Jersey-American Water and Vice President – Planning and Reporting. John worked for Exelon as Vice President and Controller of Exelon Generation, as well as VP-Business Performance Systems (EPS). Later he joined Constellation Energy as VP-Business Transformation for Constellation Generation Group. John and his wife Kathy owned a retailed clothing business in Cape May County, NJ before relocating to Maine. Prior to joining Pine Tree Society, John was Chief Financial Office and Chief Operating Officer at Maine Maritime Museum. John holds a Bachelor of Science in Business Administration from Bloomsburg University of Pennsylvania and a Master of Science in Accounting from Widener University. He is a Certified Public Accountant (inactive-NJ) and a Certified Management Accountant.